I became interested in the Monster Hunter franchise after hearing a discussion on the Hatchetjob podcast. Monster Hunter has become one of the most popular game series ever in Japan and apparently appeals across many demographics. 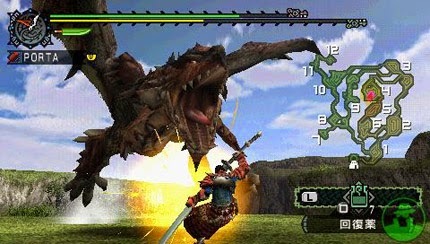 The game presents the player with hunting scenarios of increasing scope and grandeur which involve the capture or killing of monters. 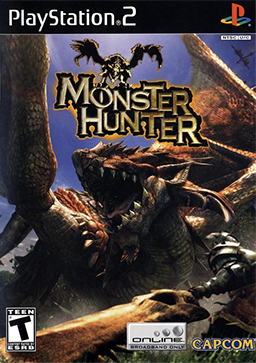 As the game progresses the complexity of this task increases and players need to carefully plan and prepare for hunts by researching the monster types in order to understand weaknesses and equip accordingly. 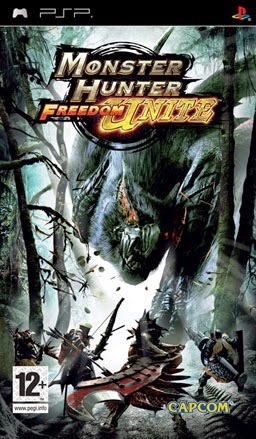 I have a copy of Monster Hunter Freedom Unite on the PSP. This is the second most recently Monster Hunter game released in the west, with the most recent being Monster Hunter Tri (3) on the Wii. I don't have a Wii so the PSP seemed like a good option. The game is very time consuming and probably suits a platform like the PSP well for someone who might play 20 minutes here and there over an extended period. I also have a copy of the original Monster Hunter release for the PS2 however I'll stick with this more recent and portable version. The concept of going on a hunt in a game is not common and I don't recall every playing a game with this conceit. It does however remind me of another PC game I've heard about which is simply callled The Hunter. This game (which I've heard discussed on the Gamers With Jobs Conference Call podcast) is a real world hunting simulator which involves very slow and careful exploration of the wilderness in order to find and kill various types of wildlife. They refer to sneaking around the woods for hours on end looking to catch a deer without scaring it away. This is too much commitment for me but I imagine a successful hunt can be quite rewarding.